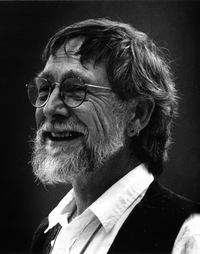 Gary Snyder is an American poet (originally, often associated with the Beat Generation), essayist, lecturer, and environmental activist. Snyder is a winner of a Pulitzer Prize for Poetry. Since the 1970s, he has frequently been described as the 'laureate of Deep Ecology'. From the 1950s on, he has published travel-journals and essays from time to time. His work in his various roles reflects his immersion in both Buddhist spirituality and nature. Snyder has also translated literature into English from ancient Chinese and modern Japanese. As a social critic, Snyder has much in common with Lewis Mumford, Aldous Huxley, Karl Hess, Aldo Leopold, and Karl Polanyi. Snyder was for many years on the faculty of the University of California, Davis, an Gary Snyder is an American poet (originally, often associated with the Beat Generation), essayist, lecturer, and environmental activist. Snyder is a winner of a Pulitzer Prize for Poetry. Since the 1970s, he has frequently been described as the 'laureate of Deep Ecology'. From the 1950s on, he has published travel-journals and essays from time to time. His work in his various roles reflects his immersion in both Buddhist spirituality and nature. Snyder has also translated literature into English from ancient Chinese and modern Japanese. As a social critic, Snyder has much in common with Lewis Mumford, Aldous Huxley, Karl Hess, Aldo Leopold, and Karl Polanyi. Snyder was for many years on the faculty of the University of California, Davis, and for a time served on the California Arts Council.